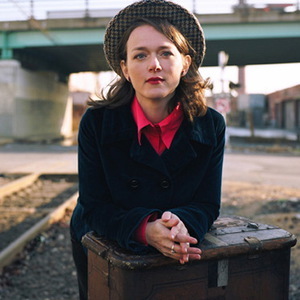 Host of freeform radio station WFMU's "Radio Thrift Shop," sometime VP at a merchant bank, and owner of one of the purest voices in country, Laura Cantrell's mix of traditional and modern country has been impressing listeners for several years. The late, great John Peel thought her first album was one of the most perfect records he'd ever heard and in the opinion of many listeners he wasn't wrong. Laura excels both as a songwriter and as an interpreter of both new and classic country - her Southern roots and mix of traditional and modern approaches, impeccable taste and superb voice make her work accessible to anyone who enjoys country. Cantrell may also be familiar to fans of geek rock for her guest vocals on the They Might Be Giants song "The Guitar".